Brunch – a combination of breakfast and lunch that is quite possibly the best duo in history. This hybrid meal is the perfect excuse to eat breakfast foods in the afternoon and is best enjoyed with friends and adult bevvies. 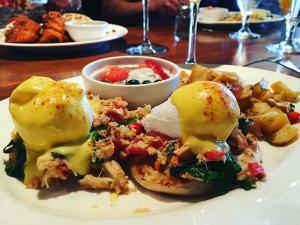 Discover these delectable brunch spots in Grapevine this weekend. Main Street Bistro & Bakery serves up a little bit of everything so you’ll have tons of yummy options to pick from! What’s brunch without uber-trendy avocado toast? Their avocado toast is topped with roasted red peppers and feta. If you have a sweet tooth, try their incredible bread pudding French toast, baked fresh daily pastries or even a croi-donut. What’s a croi-donut? 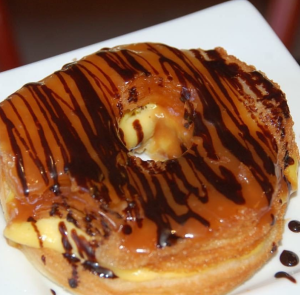 It’s a croissant shaped like a donut, fried, filled with crème brulée, dipped in caramel and drizzled with chocolate. We highly recommend trying it at least once to say you have experienced pure sugary bliss. They also serve up traditional brunch staples like Eggs Benedict and Huevos Rancheros. 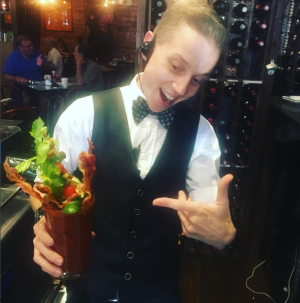 Drinks: Try a Texas Bloody Mary topped with bacon and Sriracha, a breakfast Margarita, Mimosa or Bellini. Or, ask bartender John to mix up something special! If you’re a fan of brunching outdoors, their amazing patio area will not disappoint. Mí Día perfectly blends traditional Mexico City recipes with modern Tex Mex flavors. 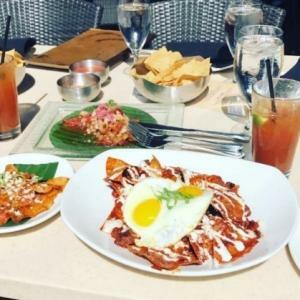 Brunch favorites include Chilaquiles (Tortilla Casserole with two sunny side up eggs), Arrachera Y Huevo Estilo D.F. (steak, potato and fried egg topped with chile arbol) and breakfast tacos. Drinks: Kick it up a notch with a Canyon Road’s Sunrise, their spicy take on a tequila sunrise with muddled jalapeno, citrus juice and pomegranate infused tequila. Looking for something refreshing and light? Try the Lucky Eddy Martini featuring Deep Eddy Peach, citrus juices, fresh strawberries and prosecco. They also serve mimosas, Bloody Mary’s and more. 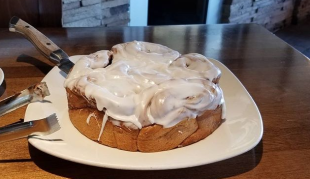 Start with the Texas Size Cinnamon Roll, perfect for sharing as this includes five cinnamon buns and takes up an entire plate. If you like a protein heavy brunch, you’ve come to the right place. You can’t go wrong with the Wagyu Strip and Eggs, Butter-poached Crab & Lobster Benedict or the Chicken Fried Ribeye and Eggs. The Chicken and Waffles is a fan favorite, featuring vanilla flavored waffles topped with bacon maple syrup and spicy fried chicken. It’s sweet, savory and spicy all in one. Bonus: If you’re feeling extra indulgent or celebrating something special, you can order dessert all day at Winewood. Drinks: One word: frosé. You can also go the traditional route with a Bloody Mary or Mimosa. 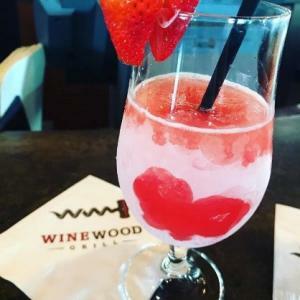 Winewood also offers an extensive wine list of more than two hundred different wines from around the world. If you like going back for seconds and thirds, this is your spot. Behold, a lavish brunch buffet. The delicious buffet includes made-to-order omelets, pancakes, waffles and French toast. It doesn’t stop there, enjoy fresh fruit, sliced meats, assorted cheeses, jumbo shrimp cocktail, fajitas, tacos and enchiladas, a carving station with roasted prime rib, turkey breast and leg of lamb, pastries and assorted desserts. 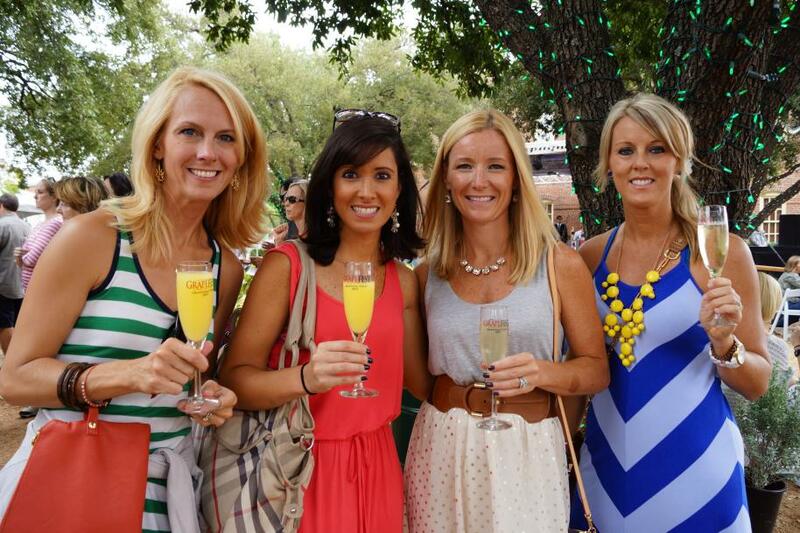 You truly can’t go wrong with brunch in Grapevine! Try all these hot spots and let us know your favorite dish. Don’t forget to add one more hashtag to your brunch pictures for a chance to be featured on Visit Grapevine’s social media, #GrapevineTX. P.S. 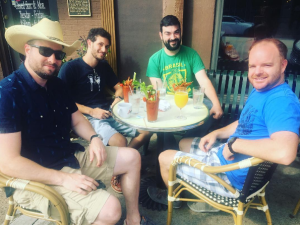 – Brunch isn’t just for the ladies, lasso up your lads and head to these awesome spots this weekend.